With one interview with the San Francisco 49ers done and another with the New York Giants scheduled, the Cleveland Browns have nabbed Hue Jackson as their next head coach. 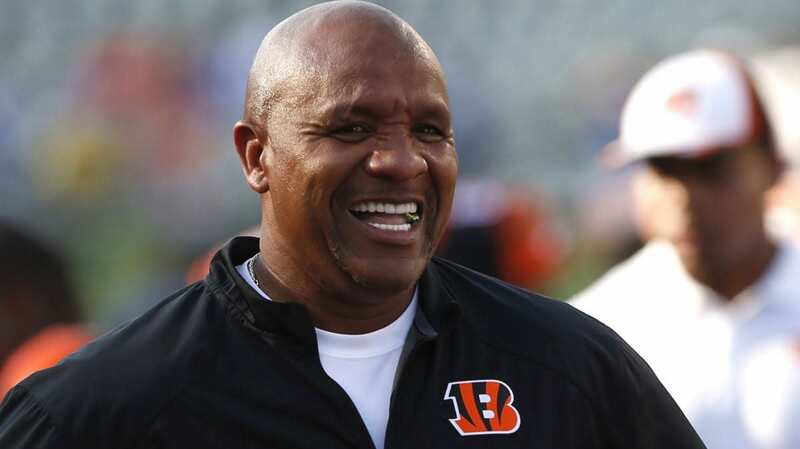 Hue Jackson will become the next head coach of the Cleveland Browns. "They made me feel comfortable," he just told me. This will be Jackson’s second NFL head coaching gig; he went 8-8 in one season with the Oakland Raiders in 2011. Jackson will also be the third black head coach in the AFC North, joining Pittsburgh’s Mike Tomlin and Cincinnati’s Marvin Lewis. Jackson jumped into coaching in 1987 and spent the first half of his career bouncing around the West Coast college circuit (saved for two seasons with the London Monarchs), first at Pacific, then Cal State Fullerton, and then Arizona State, California and USC. Jackson was the offensive coordinator on the Trojans’ staff that preceded Pete Carroll. Following his departure from Heritage Hall, Jackson joined the Washington Redskins’ staff in 2001 and has remained in the League ever since. He’s coached with the Cincinnati Bengals (2004-06), Atlanta Falcons (2007), Baltimore Ravens (2008-09), Raiders (2010-11) and then the Bengals again from 2012-15, most recently as offensive coordinator.